Yesterday we ventured to Oldenburg for a late lunch and a little bit of shopping. Again I was shocked by the speed of drivers on the autobahn. 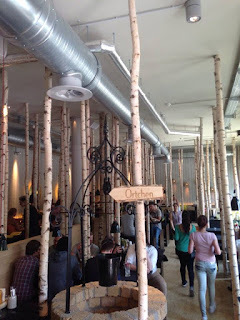 We had lunch at a gourmet burger place called Hans Im Glück. 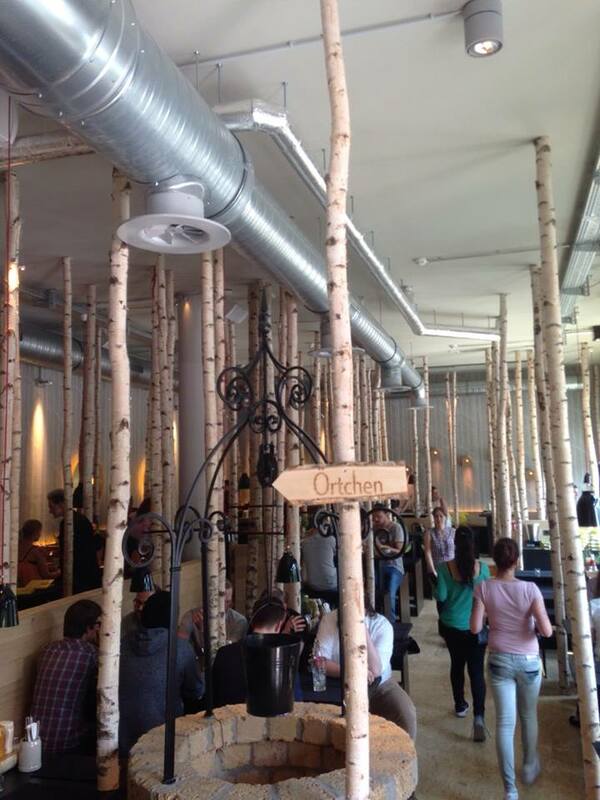 The interior was set up to look like you were sitting in a forest with floor to ceiling tree trunks. It is very strange to see people with their dogs inside a restaurant or even clothing stores, but apparently that is normal. I can't imagine taking Richie into the city and having him sit under the table while I eat my lunch and then dragging him from store to store. I really enjoyed Zara and could have spent a lot more money in there on clothing. In Europe you can wear their preppy style clothes without looking like a twit. Much of what they sell would look out of place in New Zealand unless you were off to watch the polo. Kiwis dress a lot more casually. Other stores we visited included H & M, NewYorker and Mango. Tomorrowland is fast approaching and I am very excited about my upcoming adventures in Belgium. Hopefully the weather is a lot hotter there than here. The overcast days Germany has to offer are not what summer is all about.